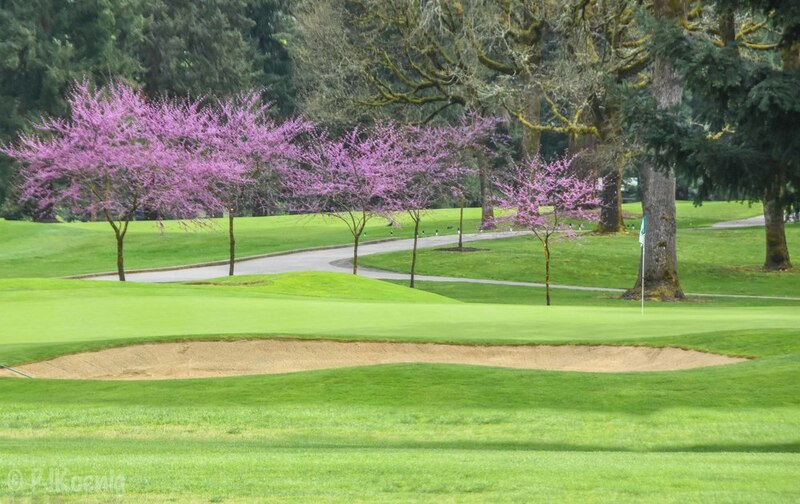 Royal Oaks Country Club - Vancouver, WA — PJKoenig Golf Photography PJKoenig Golf Photography - Golf Photos For Those Who Love The Game. 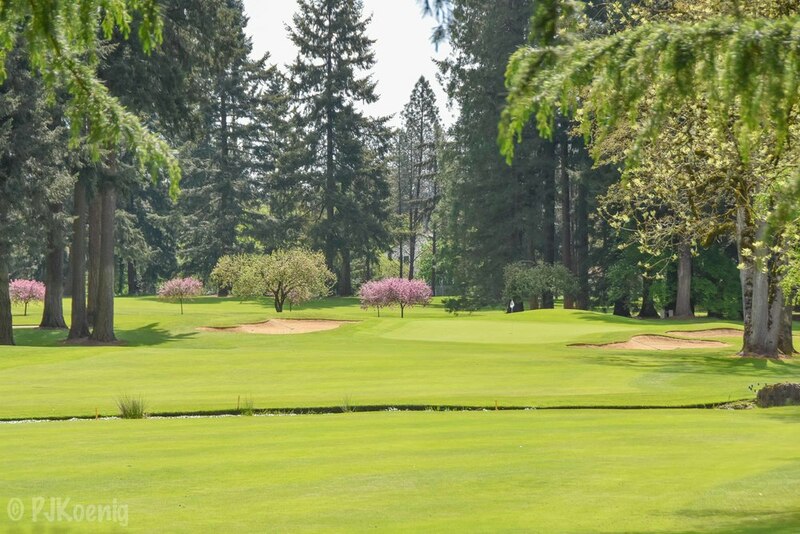 Back in August of 1945, a group of local businessmen each plunked down $1000 to create the 1st nine at Royal Oaks Country Club, 7 years later a second nine would be added. The course was built upon rocky land and some of the early members were known as "rock pickers" for their efforts to clean the fairways of rocks. 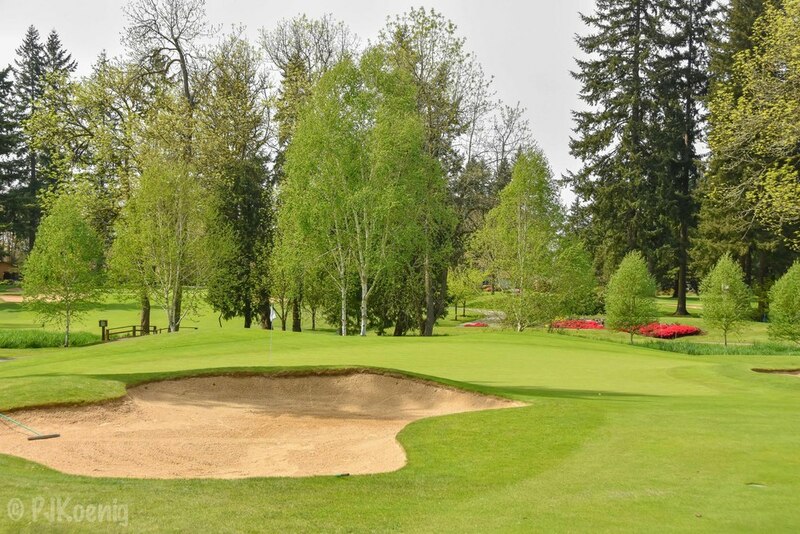 Today, the course is meticulously maintained. Good luck finding any rocks to pick. In an epic Saturday duel in April of 2016, I would go head to head with Joe Garvey in a tense match play event. The reason for the tenseness was that this was a "loser buys dinner" type of match. After I had grabbed an early lead, Joe would storm back to take a commanding 2 up position with 5 to play. Fortunately for me, Joe would take several late missteps. and by the time he arrived on the 18th tee box, he would be 1 down. After 2 great shots into the 18th green, both Joe and I faced short birdie putts. I was up first and left mine on the edge. After tapping in for par, Joe needed to make his putt to push the "loser buys dinner" bet. As Joe would later describe it. "When I hit that putt, I knew it was going in" To my good fortune, Joe's judgement was slightly off and his ball slid by the hole. I would later slide into the booth at Ringside Steakhouse for one of the finer meals I had eaten in a while, compliments of Joe Garvey.